Is your brand a trick or treat? Do your customers perceive your brand the way you think they should? Trick or treat! The saying is commonly announced before someone opens their door to pass out candy during Halloween. As the door swings open, trick-or-treaters get excited to discover what they’ll add to their bag of treats. Not every neighbor has the “good” candy. Some will have Candy Corn or Mary Jane’s and God forbid the infamous box of raisins. There are many houses in which to choose while trick-or-treating but you never know which one has the best candy. This situation is very similar to the purchase process of your customers. Like trick-or-treaters, customers have many options when choosing a brand but having a negative experience (i.e. 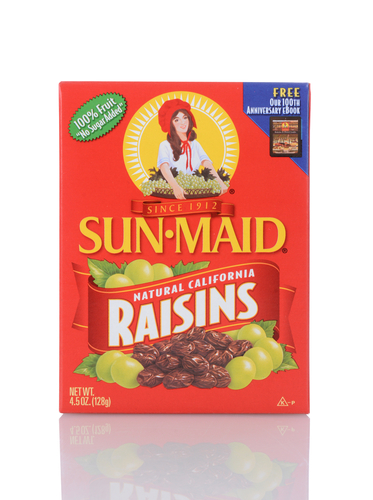 getting a box of raisins) can leave a bad taste in their mouths–literally. As you continue to build your digital brand, are you giving out raisins or Snickers? Building your digital brand will help you get more customers, clients, and leads. A common mistake some brand builders make is getting entrenched in the process only to forget about how their branding efforts affect consumers. These brand builders may think their brand is a treat but, without building credibility, they are serving tricks. Brand credibility is something that you cannot purchase. There is no quick fix or magic wand that will build your credibility. As you know, it takes countless positive brand interactions that showcase how valuable your brand is to customers. Perception is often reality to most consumers. Some believe that what they see conveys brand value before attempting any brand transactions. In essence, a brand trick is one that fascinates customers but under-delivers the brand promise. You may recall one of the biggest tricks played on the music industry when pop group Milli Vanilli was exposed for not having sung any of their Grammy Award winning music. Do you have a brand that claims to have all the solutions to consumers problems but your solution is not resonating? Have you executed a campaign that was unaligned with your brand values and backfired? Social media, in particular, is a platform where brands attempt to stay relevant by executing a campaign outside of their lane. A brand treat is a campaign, initiative, or activation that delights the consumer and reinforces brand value. Some brands may steer away from social issues because of the perceived backlash from alienating certain customers. Below is probably the most progressive attempt a brand has made at addressing social issues. Taking a stance on social issues is a great way to treat your audience. But will a stance like the one mentioned above benefit a brand? I would love to hear your opinion in the comments section. When building your digital brand, recall the days during your youth when you went trick-or-treating. Remember the feeling you had when finding your favorite treat in the candy bag? This is the same feeling you want your target audience to have when engaging your audience. The differences between a trick and treat are nominal. You can build a digital brand expecting to treat your audience but can actually ‘trick’ them if you have not considered how your branding efforts are affected by the consumer environment. After reading this post, what do you think? Is your brand a trick or a treat? Let me know in the comments below!